Pipeline Risk Due to Seasonal Flooding - Cenozon Inc.
Every spring, the melting snow and ice causes serious flooding in Canadian water bodies. The rising waters sweep away the soil and support of pipelines crossing the water bodies, leaving the pipelines to be exposed to hazards. This scouring is a major cause of pipeline incidents during this season at water crossings. Erosion of the river bed causes vertical souring and erosion of the river bed causes lateral scouring. 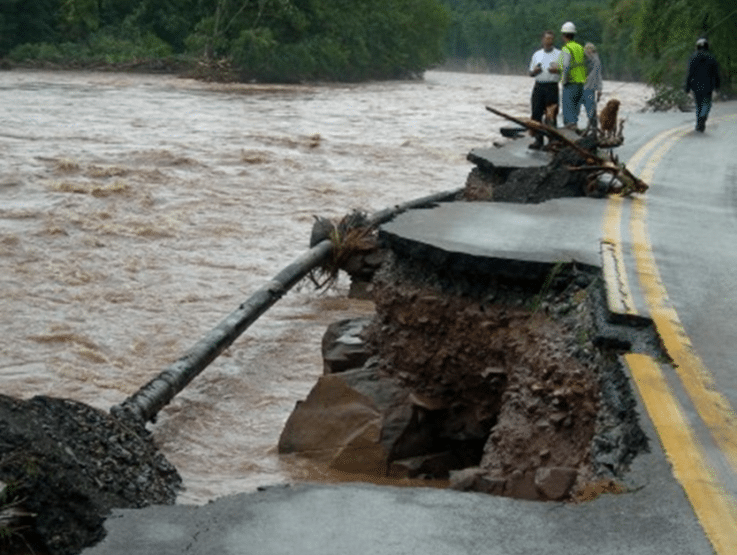 Scouring can occur gradually over the years or may occur seasonally at every flood season. The extent of souring is dependent on the water flow, the characteristics of the riverbed and its sediments as well as the capacity of the river to transport sediments. Construction and/or other changes upstream and downstream of a pipeline crossing can also influence the river flow and channel morphology. Pipelines crossing water bodies like rivers are often buried beneath the river bed and channel banks. If the pipeline becomes exposed, it can be damaged by flowing water, flowing debris and a phenomenon known as vortex-induced vibration. Excessive up and down vibration with matching resonance of the pipeline span may be very hazardous to the pipeline. In June 2012, a pipeline leaked 4.5 million liters of oil near the Red Deer River. Heavy rains had swollen the flow in the river to 10 times the normal amount. The heavy flow eroded the riverbed around the pipe and exposed it. The pipeline then experienced a “guillotine failure” at a weld circling the pipe. The pipeline failed due to high-cycle fatigue, likely caused by vibrations induced by the river flow. Such accidents can be avoided if pipeline companies rigorously monitor and maintain pipelines during the flooding season. In extreme situations, they can choose to stop the flow of hydrocarbons, so that the risk is mitigated. Some companies resort to advance technologies to model and predict the occurrence of an incident. One technology that they can use is Cenozon’s Hydroflow app. 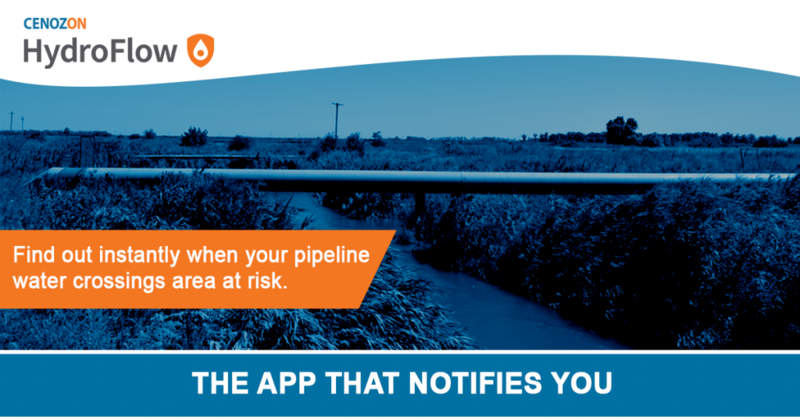 The app monitors and automatically notifies operators of abnormal water flow events occurring near their pipelines and facilities in real-time, giving the operators the opportunity to act so that the causes of the hazards are mitigated.